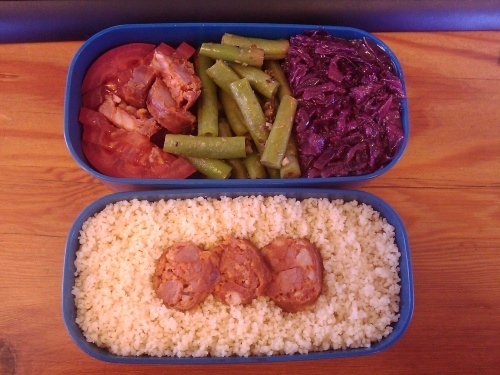 green beans Archives - Wots For Lunch? Leftovers from this month’s Daring Cooks challenge made for an excellent lunchtime treat, especially with the freezing rainy and snowy weather we’ve been having in the Cape recently. I made this braised red cabbage as part of Mothers’ Day lunch and it was a big success. 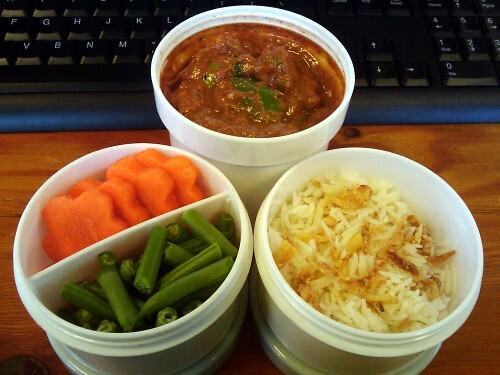 It is equally delicious hot or cold, so it makes a great addition to a packed lunch or picnic. Put the cabbage, onion and apple in a flame-proof casserole. Stir in the red wine vinegar, the sugar, nutmeg and redcurrant jelly. Cut the butter into pieces and dot all over the top of the cabbage. Cover with a tight-fitting lid, bring to the boil, then simmer gently for about 1 hour, stirring now and again. The cabbage should be tender and most of the liquid evaporated. I substituted a granny smith apple and balsamic style vinegar for the Bramley apple and red wine vinegar. I also omitted the red currant jelly and used about half the amount of butter listed. Makes enough to serve 8 people as a side dish.